Review Summary: 'Fitoor' is beautiful to look at, but it lacks the punch to keep the viewers engaged! 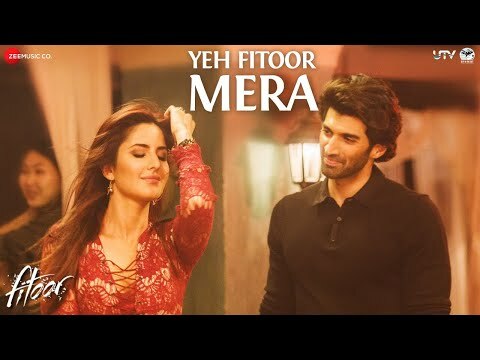 So, Fitoor takes a multi-layered classic, dilutes its themes of imperialism and social hierarchies, and chooses instead to interpret it in a more Bollywood-esque manner. So on an overall basis, ‘Fitoor’ is stunningly mesmerizing in terms of its grandeur and cinematography. Sadly, films don’t work on these merits and out here the boring storytelling and weak screenplay ruins all your great expectations and ends up giving frozen results. Go for it because there might not be too many better films than Fitoor this year. Abhishek Kapoor’s adaptation of the ‘Great Expectations’ is intense but superficial. Director Abhishek Kapoor could've done a lot more with this film. The love story between his leads should have been a lot more intense. But in the end the film turns out to be a shallow affair. Fitoor means obsession, is an great case of presenting Kashmir. Fitoor is this very finely shot, very bizarre breathy romance film which is saved by moments of true madness displayed by the brilliant Tabu. 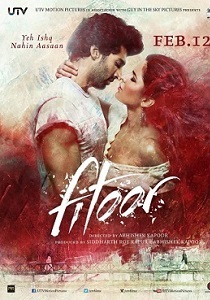 Noor' Aditya Roy Kapur steals away the thunder with his 'Fitoor'! The music and cinematography elevate an otherwise dull Fitoor. The music of Fitoor is the soul of the film, ranking above other elements of the film. Editing has several flaws. Many scenes are dragged and at the required places, they are chopped off. The cinematography is another big plus to Fitoor and production values are rich. Director Abhishek Kapoor could not bring out the required feel in the subject he took, even though the casting is good. To play with a great quote, oh what a tangled web we weave, when we learn to retrieve - in this case, retrieving a classic indeed caused a tangle, albeit one of Pashmina dhaagas. Except for some well shot songs and Tabu’s performance, Fitoor is a waste of your precious time and money. Do not invest anything on it and pick some else this weekend. On the whole, FITOOR is a huge letdown despite its great visuals, as it fails to connect emotionally. At the Box-Office, the movie will appeal only to a minuscule set of multiplex audience. Katrina Kaif and Aditya Roy Kapur’s film falls short of our Great Expectations! Besides, the film has great melodies. Abhishek Kapoor’s adaptation of the Charles Dickens classic has a deeply miscast lead pair. What would you expect a Bollywood hero to do? Confess love and deliver some high-octane dramatic dialogues? That’s not what you get in Abhishek Kapoor’s Fitoor. It’s left to Tabu to give the movie some emotional punch or any real connection to Dickens. Underneath all the surreal beauty, this adaptation of Charles Dickens's Great Expectations falls short of fulfilling the great expectations people had from it. On the whole, Fitoor is very slow and confusing too. Tabu STEALS the show while Aditya Roy Kapur and Katrina Kaif impress with their PASSIONATE performances!! !